Martin has written a number of books on Laos and this one is indeed quite detailed and interesting to read. I'd say it's one of my favorite Lao history books to read through. It’s published by Scarecrow Press (owned by Rowman & Littlefield Publishing Group) who’s known for their Historical Dictionaries series of books with their matter-of-fact chronological style. Having said that, I suppose what makes this book particularly unique and different from other history books on Laos is that this one is written in a sort of dated memo type format (for lack of a better description). So it does feel much more methodical and easy to follow when read in this format. And it’s not to say that other Lao history books aren’t in chronological order but others write in full essay format with sections. Whereas this book is written in a date and description of events type format – a very straight to the point kind of manner like a dictionary! So if you’re someone who likes to have things in this kind of style, this book is for you. However if this style of writing is not for you, consider Martin's other book called A History of Laos (ISBN: 9780521597463) that was published in 1997 which is also a wonderful read. Some of my favorite parts in this book are those written on the early and pre-modern times. And I’m referring to time periods dating back thousands of years. 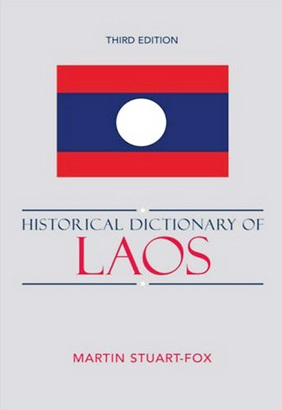 The author relies on archeological evidence that places artifacts and people in the vicinity of present day Laos. Martin himself is an accomplished and knowledgeable writer on Laos today and where it was before. His expertise and written style shines through. It’s definitely worth picking up a copy, if you can find one at a reasonable price. The most recent is the 3rd edition that was published in 2008. It’s quite expensive as I’ve seen prices soar well over $100USD but you can still find used copies in the more affordable range of $40+. Where Does All of Vientiane's Garbage Go? Know All Your Lao Airport Codes?